The Barbara Bush Foundation for Family Literacy hosted a National Celebration of Reading at the Library of Congress last week. 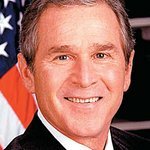 Members of the Bush family gathered with celebrity authors and entertainers to help raise awareness of the issue of low literacy in America. Funds raised from the event will support nationwide programs of the Barbara Bush Foundation, including programs in the Washington, D.C. area. Since its establishment in 1989, the Foundation has hosted more than 60 Celebration of Reading events in five cities and four states. This very special National Celebration of Reading — the first to be held in Washington, D.C. — marked the 25th anniversary of the signing of the National Literacy Act by President George H. W. Bush. Acclaimed actress and singer Lynda Carter opened the program with a musical performance, accompanied by Grammy-winning songwriter John Jarvis. John Cole, Library of Congress Historian, welcomed guests to the event, before being joined onstage by investor and philanthropist David Rubenstein. Rubenstein presented Cole with the Barbara Bush Foundation’s “Champion for Literacy” award in recognition of his long career of service supporting literacy for all. Doro Bush Koch, Honorary Chair of the Foundation, spoke about her mother’s deep commitment to literacy, and shared stories from her own visits to family literacy programs across the nation. “The Foundation offers a support system, hope and opportunity, and a second chance for many adults who feel that they were left behind,” said Koch. 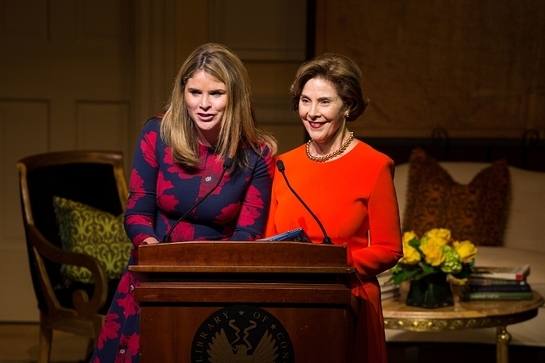 Guests enjoyed readings by an outstanding lineup of celebrity authors: former First Lady Laura Bush and Jenna Bush Hager, David Baldacci, A.J. Jacobs and Jon Meacham. Liza McFadden, President and CEO of the Barbara Bush Foundation, introduced Maria Elena Moreno Van Maren, a family literacy student at Briya Public Charter School. The Washington, D.C.-based institution is the nation’s only family literacy charter school. Briya, which provides both adult and early childhood education, was established in the late 1980s via federal funding and funding from the Barbara Bush Foundation. McFadden noted that low literacy and lack of access to education contribute to a multi-generational cycle of social and economic disadvantage. She shared that in Washington, D.C., 85 percent of children under the age of six who live in low income homes have parents who never graduated from high school, and 56 percent of fourth graders in public schools are not reading on grade level. A committee of dedicated literacy champions, co-chaired by Marvin and Margaret Bush and Bobby Koch and Doro Bush Koch, were instrumental in helping the Foundation plan for this Celebration event. Honorary committee chairs were: Sen. Lamar Alexander, Sen. Thad Cochran, Sen. Susan Collins, Sen. Orrin Hatch, former Rep. Dale Kildee, J. Willard Marriott, Jr., Thomas F. McLarty III, Sen. Patty Murray, David Rubenstein, and Ohio state Sen. Thomas Sawyer.